Fantastic staff. Great breakfast. Very well kept and clean. Great vaiue. the quality of the apartments, and the relaxing resort . Peaceful pool area, great location close to beach. Clean, well equipped kitchen. Staff were helpful when they were there. 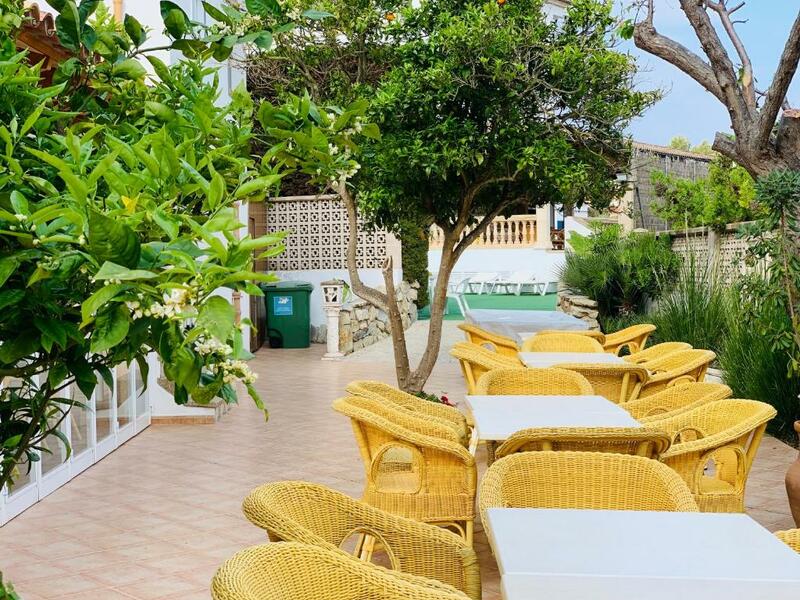 Location was perfect, Quiet area, Nice and clean pool, Close to the sea and beach, Grill was very convenient for cooking fishes and sea food for dinner. Lovely apartment, good size balcony and very clean. The beach and nearest little supermarket are 5 mins away. Pool is relatively quiet, it's easy to get a sunbed at any time of day. The apartment was imaculate and had everything that was needed. The details were exceptional like beach towells and sun cream available at reception. The balcony was big and the kitchen was well equipped. The position is great and only a short walk to the beach. Nice, functional apartment with sufficient space. Apartment house close to tennis courts and beach. Friendly and helpful staff made our stay extremely convenient. Lock in a great price for Apartaments Sa Torre – rated 9 by recent guests! 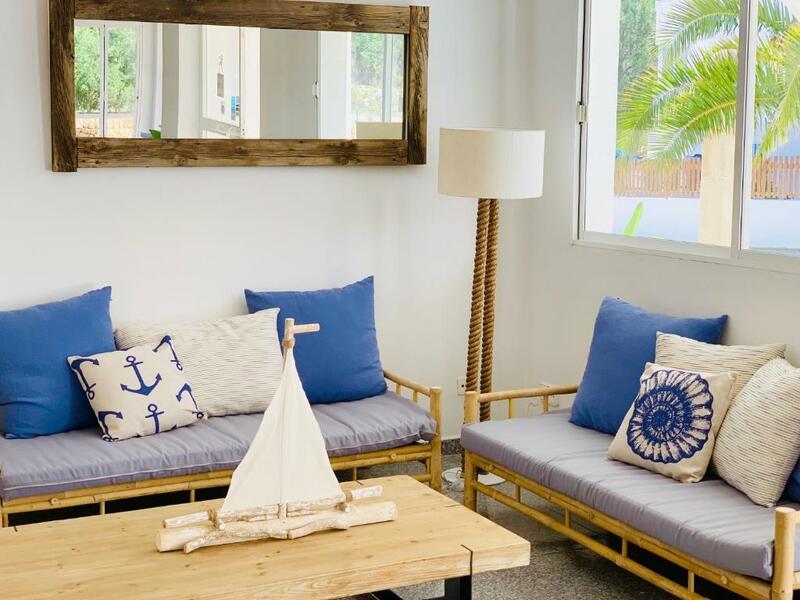 Surrounded by mountains and nature, Apartamentos Sa Torre are located in a quiet village, just 250 feet from Canyamel Beach. 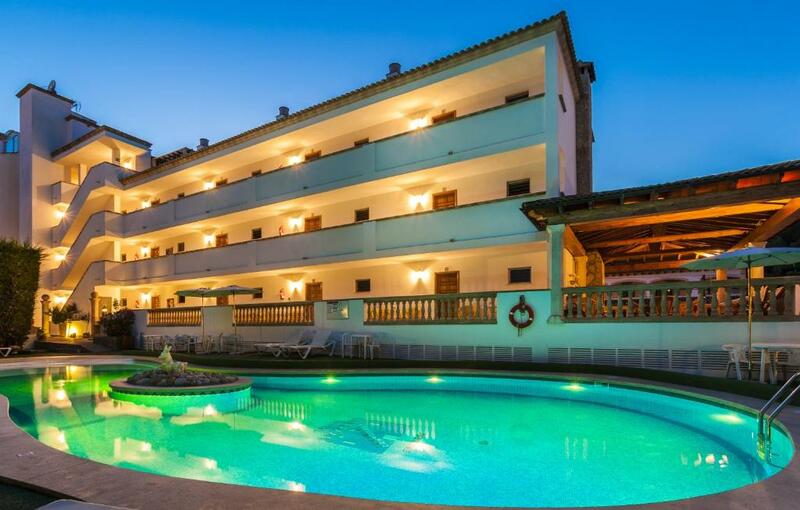 Apartamentos Sa Torre includes a shared seasonal outdoor pool with a solarium, a sunny and charming terrace with buffet breakfast, and barbecue area. The air-conditioned apartments come with a private balcony and free WiFi. 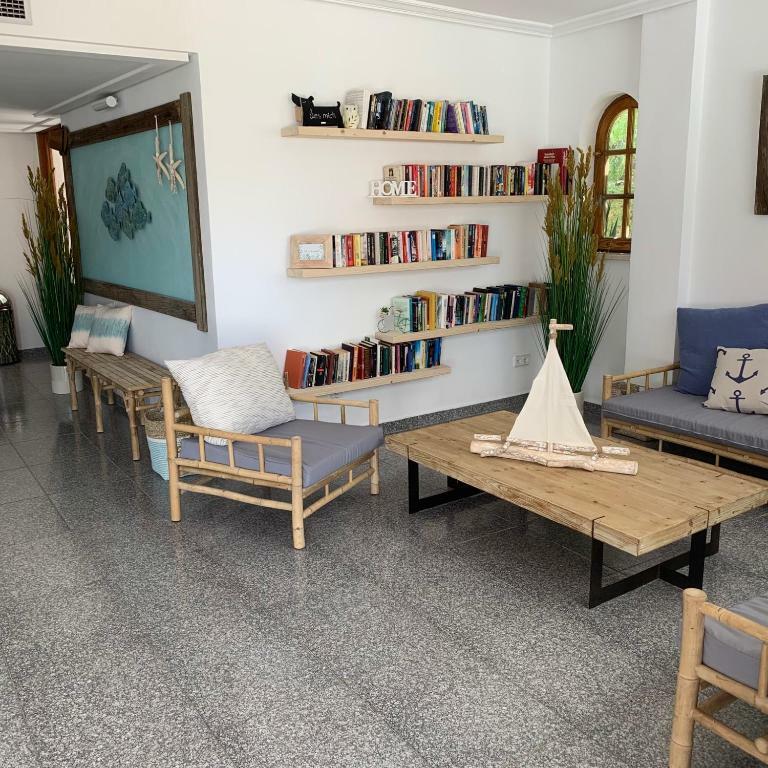 There is also a living room with a satellite TV and a sofa bed; and a open-plan kitchen equipped with a microwave, a fridge, induction cookers, and kitchenware. The private bathroom includes toiletries and bathrobes, as well as slippers and a hairdryer. The multilingual staff can provide services such as bike and car rental, or massages. Palma de Mallorca Airport is 46 mi away. When would you like to stay at Apartaments Sa Torre? This air-conditioned apartment features a private balcony and 1 bedroom. It comes with a living room with a satellite TV and a sofa bed, a kitchen and free Wi-Fi. The private bathroom includes toiletries, a hairdryer and bathrobes and slippers. There is also heating and a safe. Cots are available upon request. This air-conditioned apartment features a private balcony and 2 bedrooms. It comes with a living room with a satellite TV and a sofa bed, a kitchen and free Wi-Fi. The private bathroom includes toiletries, a hairdryer and bathrobes and slippers. There is also heating and a safe. This studio features a dining area, seating area and stovetop. 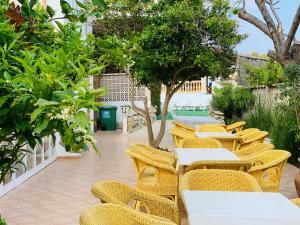 Sa Torre Apartaments is a family complex, located in Canyamel, a few meters from the beach. There is a calm and pleasant atmosphere, where you can rest, recharge your batteries and enjoy the surroundings of this area. 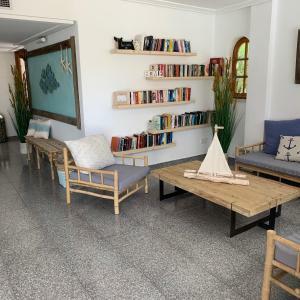 The complex consists of several apartments with capacity from 1 to 6 people and independent houses with a maximum capacity of 8 people, ideal to come as a group and / or family. In turn, we have rental vehicles with service to the airport. Hello, welcome to our Lodges! my name is Pedro Sureda and I will be your host during your stay in Canyamel; My parents started this family business more than 20 years ago and I am currently in charge of managing this family tourist complex. I am a lover of sports in general, especially road cycling, mountain biking and water sports, especially surfing. Personalize your holidays while enjoying this charming town, its streets, its shops, its landmarks, its traditions and gastronomy or enhance your stay by making contact with local people. And if you also like to stay active during the holidays there is a wide range of sports activities in the area such as hiking in the mountains, mountain-biking in beautiful natural landscapes or take to the seas in Stand Up paddle by the waters of the Canyamel beach until you reach Cap Vermell and experience the underwater world snorkeling. Do not hesitate to contact us! We want you that you go back home with new Mediterranean experiences! House Rules Apartaments Sa Torre takes special requests – add in the next step! Apartaments Sa Torre accepts these cards and reserves the right to temporarily hold an amount prior to arrival. The reception is open from 09:00 to 13:00 and from 19:00 to 21:00. Please inform Apartaments Sa Torre of your expected arrival time in advance. You can use the Special Requests box when booking, or contact the property directly using the contact details in your confirmation. The town of Canyamel is pretty quiet and relatively small, so don't expect much life past a certain hour at night. There are a few restauran in the area, but I would definitely recommend renting a car and exploring other destinations. Kitchen stock needs to be improved, pots and pans etc. Dish washer would be a good addition to the kitchen. Beds were uncomfortable. Air conditioning was smelly. Hot water was not consistant in kitchen. Reception was only attended for 4 hours a day and not during the times advertised. Breakfast was not great. Payment was taken without warning from my account despite asking for notification. This meant bank charges. The apartment did rectify by offering a complimentry breakfast. Xisco on reception was very helpful throughout our stay and helped organise our return transport. Clean, relatively spacious, 1 bed apartment. Very comfortable bed with good pillows. Pull-out single bed and single sofa bed in lounge were comfy enough for our kids of 14 and 15. Well-kept grounds and pool area. Quiet, peaceful, but central location - only a short walk from the lovely beach. Would definitely stay again if returning to Majorca. Aside from the hotel, we recommend Bonanza for good value for money, good food and friendly service - we dined there on 4 evenings. The 2 restaurants on the beach are very good value, but service is very patchy (whether busy or quiet) and we didn't find them particularly friendly despite using them both several times (and always leaving tips). El Maison by the shops has speedier and friendlier service. Our apartment wasn't built for 4 adults. It is good for 2 adults and 2 children. The sofa in the living room was very uncomfortable and small. Apartment is in really nice location close to the nice beach. Beautiful was pool with enough deck chairs. We appreciate especially pool towels, sun umbrellas. Personal was always ready to help. Beach towels available in reception to use, pool area lovely and quiet only ever a few couples using the pool, balcony area with the room perfect for breakfast and lunch. Restaurants nearby all amazing food! 60second walk to the beach :-) we couldn't fault the apartments at all!